Burials have taken place in the Cemetery since 1879, following the closure of burials in the Churchyard by order of the Council on the 15th December 1879. 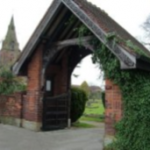 The Cemetery and Garden of Rest is owned and run by Burton Joyce Parish Council. It is a beautiful, tranquil and very well maintained site. 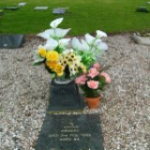 All enquiries regarding the Cemetery should be directed to the Parish Clerk. 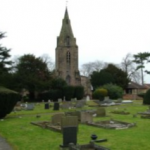 Definition of Resident: The Parish Council provides a cemetery primarily for the benefit of our residents, which means our fees and charges may be considerably higher for non-residents of Burton Joyce. Anyone that has lived in the village for 12 months out of the preceding 36 may be buried in the cemetery for the standard residents’ charge. Time spent by Burton Joyce residents in a hospital or institution outside the village during this time will also count towards eligibility for our standard charges. Non Residents: Shall not be permitted to reserve plots and will not generally be accommodated in the cemetery unless they have pre-existing rights having purchased or reserved a plot or have close family (spouse/partner, parent, sibling, child) already interred in the cemetery.